So basically Zabrina, mum, little brother and bofriend came in for an afternoon at Isky's =D We went hard for a couple of hours mixing and matching as we went. In the end we came up with a 'That's the one! dress ^^. 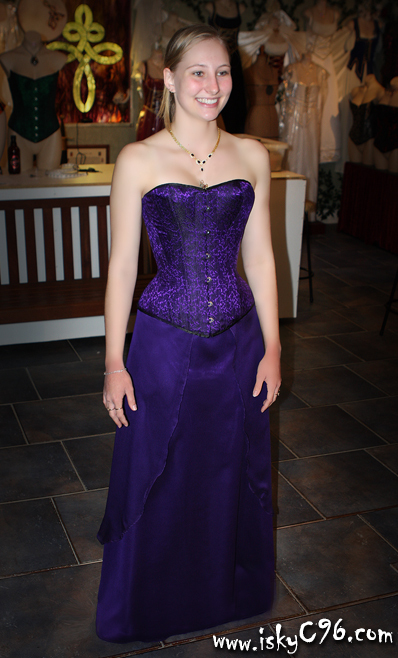 A purple 'Belle corset, teamed with a Purple satin/chiffon skirt from 'Moon Star Magic'.